Glossybox surprised the heck out of me The other day! I got home to find a Glossybox on my table... Um, I cancelled about 3 months ago- What's this? I then noticed that it was addressed to my blog. It started making a bit of sense. I applied for the Glossybox ambassador program back in June or July last year and they were full but I guess they kept my info as someone they'd had good a good relationship with and sent me a free box. And I personally have had a good relationship with Glossybox. I enjoyed my boxes and had an issue once with broken products and received a replacement within a short time AND they gave me an alternate product that I'd seen in spoilers instead of the one I got that was broken even though they said they didn't do that when I asked by email. 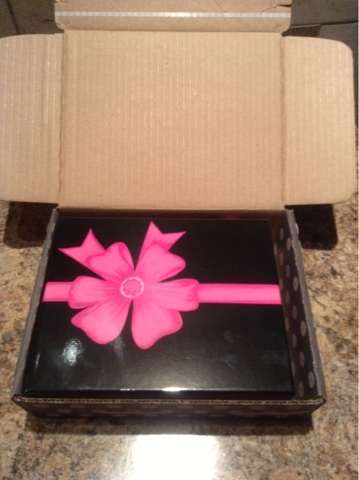 Overall, my experience with Glossybox has been good products and pleasant surprises. BUT they have had their fair share of issues these past months and as someone who doesn't want to take a lot of "iffiness" from beauty boxes, I cancelled right when they raised the prices for no good reason. Since then, controversies have continued, from getting old products in a box to censoring their page and banning members who really did nothing wrong except point out true in a very respectful manner. A comment that I made on their page about this issue was deleted as well, though I was not banned for it. I do wish to thank them for sending out the box and I'm enjoying the products (not pictured is the Givenchy gloss that not even all paying members got) This has not been the most positive of posts, but it was honest and I could never do any less than that. Sounds like they're doing damage control. Is this box meant to be for a glossybox type party or something? I noticed what looks like cupcake liners and glossybox logo toothpick looking thingies. What gives? I would agree with damage control. They probably want to get as much good press as they can online because of all the negatives that have happened and I guess if they have extras of last month's boxes, they might as well go for it. It's weird that they didn't ask or anything. This is the same box as subscribers got on the aniversary month of Glossybox, so that's what the cupcake liners and toothpicks are for I guess. They're cute. I had an issue with them on my first box. I cancelled and they same day they billed me for the next month's box. I was not happy with the service and their response to having issues. I had to tweet and email numerous times just to get my replacement items. They must indeed be losing a number of folks. I've been debating signing up for Glossy. The reviews are so mixed, especially since they keep putting in drug store brand products. I wouldn't recommend them for a variety of reasons. Product-wise, for someone who is a "beginner" and still figuring out her skincare and haircare routine, etc., the products are good.